The Bornschein Bears: Happy Love Day! Happy love day!! 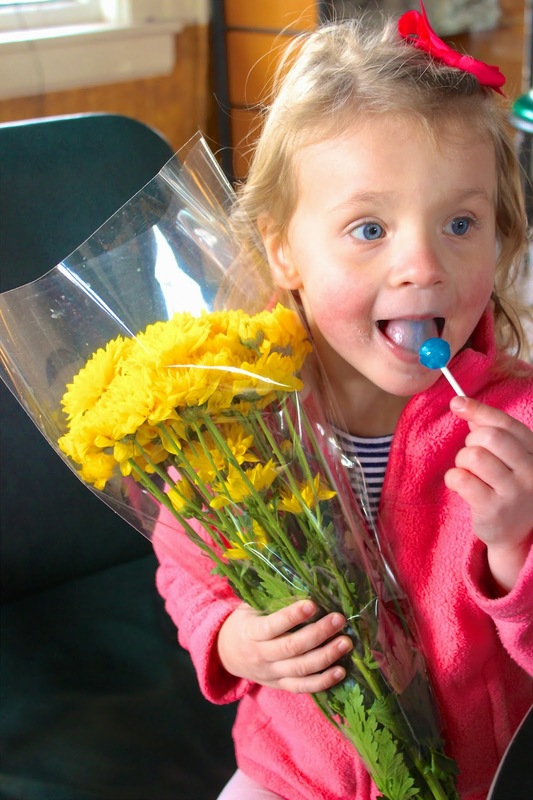 We went to the farmers market this morning and got some yummy sourdough bread, and then to this market downtown to get flowers, and then yummy mochas at a hole in the wall coffee shop <3 Some little boy came running up to Charlotte with a lollipop and said "Happy Valentines Day!!" then he whispered in her ear "this lollipop will turn your whole mouth blue!!" SO SWEET! It was one of my favorite mornings yet here, just to spend it locally and walk around with the fam. Then we had lunch and the girls went down for their nap (THEY BOTH SLEPT!!! Its a miracle) and I went for a 5 mile run. For dinner Russ is making heart shaped pancakes, and strawberries, and then we are going to watch the sunset at Jordan Lake. It really is so awesome when both kids sleep at the same time!